It has been said time and again that Fond du Lac has many of the attributes of a big city conveniently nestled in a small Wisconsin town. It could not be truer. From the world-class Thelma Sadoff Center for the Arts in our resurging Downtown to our stunningly beautiful Lakeside Park on Lake Winnebago, the Fond du Lac area has a lot to offer locals and visitors alike. Consistently recognized as one of the country's safest community's FdL also has a lot of fun, exciting even quirky aspects. To promote easier navigation throughout the community, visitors are invited to look for our district signs as they visit favorite Fond du Lac destinations and find new hidden gems. An expansive area at the southernmost point of one of the largest inland lakes in the United States, our very own Lake Winnebago. General Location: Lakeside Park West across the Fond du Lac River through Lakeside Park heading east over to Roosevelt Park continuing north along Lake Winnebago's east coast to Columbia Park. What You'll Find: The Children's Museum; acres of beautiful parks; "Pete's Beach"; the Marina; the Lakeside Park canals; the lighthouse; restaurants; taverns; and Jim & Linda's Supper Club; Wind Power Surf Shop. What You Can Do: Enjoy a historical merry-go-round. Launch your boat. Wind surf and ice kite. Take in a national softball tournament. See the joy on your children's faces as they experience Wisconsin's newest Children's Museum. Conclude a day of ice kiting or SUPing on Lake Winnebago with an awesome Bloody Mary at Sunset on the Water Grill and Bar. A resurging region within the community where historic meets contemporary in a new, exciting mashup of fun. General Location: Main Street though the heart and soul of the community. What You'll Find: Historic churches; the Roaring Twenties-era Retlaw Hotel, undergoing a multi-million dollar renovation and restoration, slated to reopen in 2018; the stunning Thelma Sadoff Center for the Arts; boutiques; jewelers; taverns and eateries. What You Can Do: Stroll art galleries. Take in a live act by a nationally touring group or a local talent at THELMA. Find all of your Christmas gifts. Dine at Theo's 24. Shop for that perfect bottle of wine, tasty artisan cheese, and sumptuous olive oil at Cujak's Wine & Coffee Bar, and call in for one of the locals' favorite pizzas from Joe's Fox Hut right next door. Everybody likes a little mall shopping -- and a lot of us love it -- and Fond du Lac is no exception to the rule with this bustling district. General Location: Entering our community from the major north, south and western arteries, head east to the massive white bridge that spans the Fond du Lac River. What You'll Find: Schreiner's Restaurant, Bakery & Bernie's Pub (a quintessential Wisconsin restaurant); your favorite dining and shopping chains; Open Road Harley-Davidson; authentic ethnic eateries; Fond du Lac Movie Theatre and Forest Mall. What You Can Do: Take the entire soccer team out for a great, fun, inexpensive meal. Purchase a whole new wardrobe. Climb onto a hog and take it for a test ride. 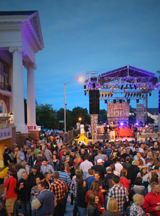 America's heartland is defined by the County Fair, and few places in the U.S. rival the authentic charm and fun of the Fond du Lac County Fairgrounds. General Location: Sprawling out over dozens of acres of the southeast quadrant of our town. What You'll Find: Blue Line Family Ice Center, featuring three sheets of ice under one roof; 32,000 square feet of modern Expo Center convention space; the Aquatic Center waterpark-style pool; and the County Fairgrounds. What You Can Do: Attend an exciting Bears Hockey game. Let the kids entertain themselves in the waterpark. Be amazed at the skill and precision of the Foot of the Lake Synchronized Skating competition. Rollerskate at the Spectrum Roller Rink. Attend the best County Fair this side of the Mississippi, featuring a one of a kind livestock birthing center, rodeo and awesome live music. This historic village is comprised of real, relocated, turn-of-the-century buildings encircling the stately Galloway Mansion. General Location: At the southwest gradual curve that is the wagon-wheel shape of Pioneer Road. 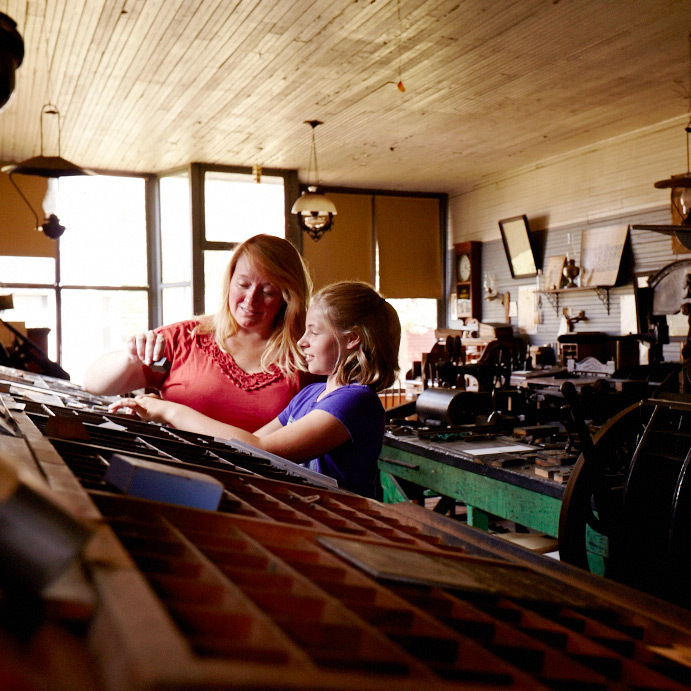 What You'll Find: Fond du Lac's most prominent citizens; the Galloway's family mansion; an accessible print shop, general store and gristmill; the Blakely & Civilian Conservation Corp Museums. Buttermilk Creek Park and Amphitheater; Greenway Arboretum. What You Can Do: Get married in an historical church. Take the family on a trip back in time. Walk through a fully furnished home circa 1880. Learn about the CCC. Take in a concert under the stars. Hike on a trail abutting the Fond du Lac River. A vibrant, youthful and active vibe emanates from the three institutions of higher education and their nearly contiguous campuses. General Location: Entering from the rolling interior of eastern Wisconsin through the Niagara Escarpment, heading west towards the exciting Downtown District. What You'll Find: UW-Fond du Lac; Moraine Park Technical College; Marian University; popular restaurants including local favorite Trepanier's Backyard Grill and Bar; two state-of-the-art-theaters: the Prairie Theater and the Performing Arts Center; one of Wisconsin's most respected soccer complexes; recently upgraded minor league baseball stadium, the new site of the very popular Northwoods League team - The Dock Spiders. What You Can Do: Compete against 88 other soccer teams in one weekend. Donate blood on the rugby pitch. Stroll the Gottfried Prairie and Arboretum. Learn. Attend an international Dock Spiders baseball game. Where many of Fond du Lac's hotels reside. From limited service to full service you will find a lodging establishment just right for your taste and budget. General Location: Just off of Interstate 41, near its intersection with Highway 151 about 60 miles north of Milwaukee. 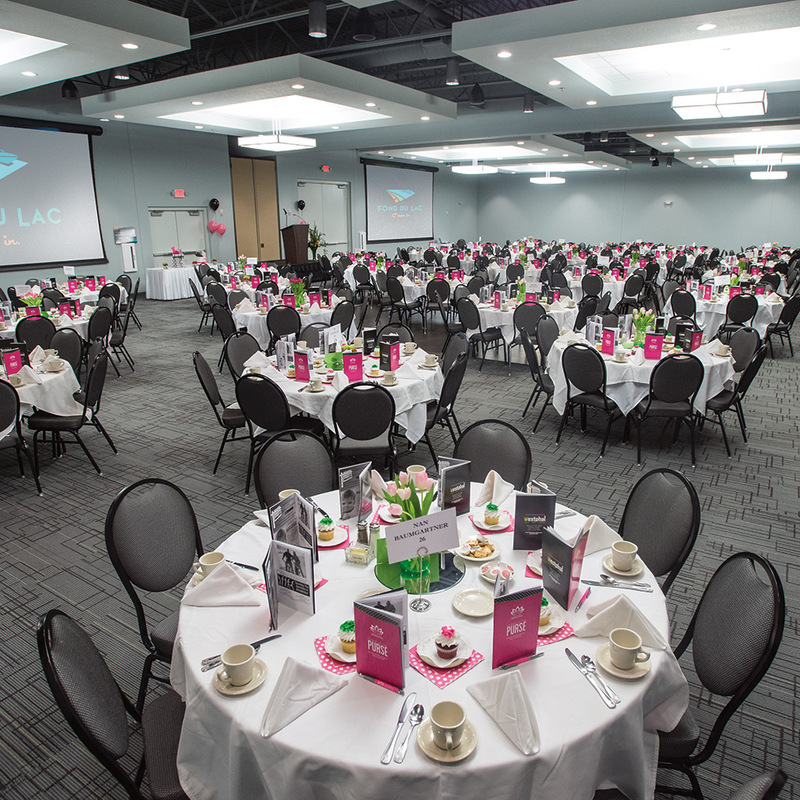 What You'll Find: The new Lake Winnebago Conference Center, featuring 24,000 square feet of event space; over 300 guest rooms, steps from the Conference Center and hundreds of more accommodations just minutes away; Fondy Aqua Park and private beach; the Fond du Lac Visitors Bureau. What You Can Do: Attend a wedding. Host a massive association retreat. 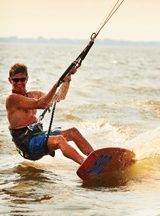 Participate in team building exercises that include a huge water slide, sand castle building and wind surfing lessons. Romantic getaway at the brand new Holiday Inn Express or nearby Hampton Inn. Sit by a cozy fireplace in the recently redecorated Country Inn and Suites. Dine Italiano at Benvenuto's. Please consider this an invitation to locals and visitors alike to C'mon in and explore the entirety of this great community of ours. We know you will find our districts packed with things to do and enjoy the prospect of un-hiding additional treasures as you travel between our newly designated areas.